If you are looking for a great self-defense round, made by a trusted ammunition manufacturer, then you are in the right place! 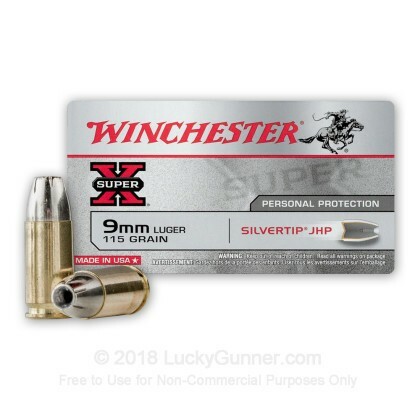 Winchester's Silvertip 9mm Luger ammo has a long service record, as it was once used by the FBI. It has proven and dependable stopping power. 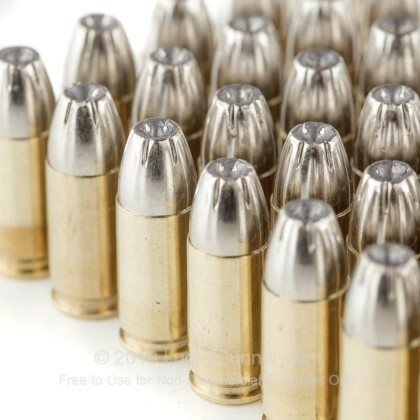 Each round has a 115 grain nickel-plated jacketed hollow point, with muzzle velocities around 122 feet per second. 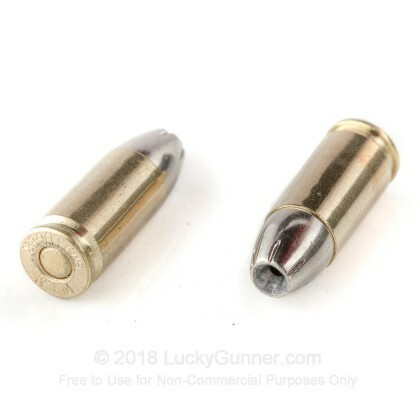 This ammo has about 12 inches of penetration in a standard ballistic test, which is the FBI minimum for self-defense ammo. 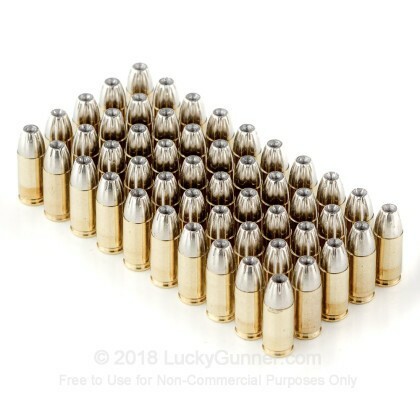 In addition, each round is brass cased, boxer primed, non-corrosive, and reloadable. Winchester has a legacy of producing the ammunition that Americans need. During the years that settlers were expanding beyond the Mississippi River, many people carried Winchester firearms and Winchester ammunition. And, in fact, the rifle that settled the west was none other than the Winchester Model 1873! Reliable and very accurate. Rounds I have carried for the past two years functioned perfectly. 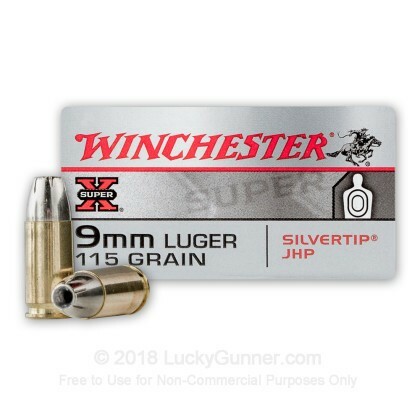 A very reliable feeding high velocity hollow point. 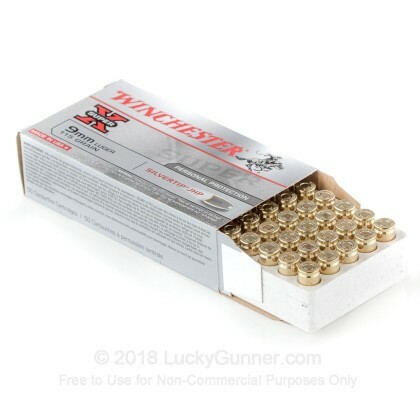 I would like to see a +P or +P+ round similar to the 9mm 9BPLE from Federal.